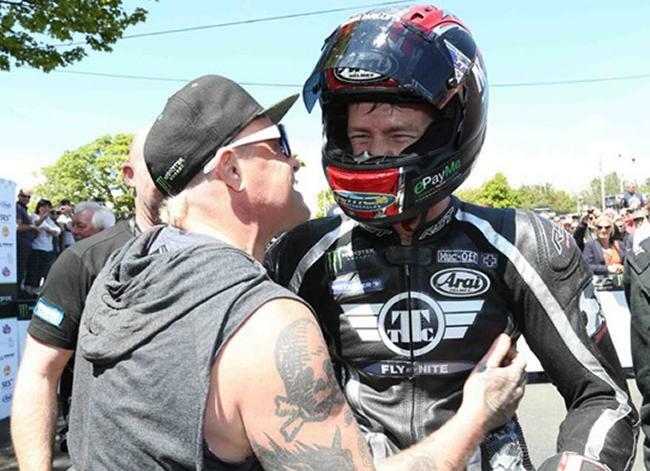 Team Traction Control owner Keith Flint has confirmed that Ian Hutchinson will again race for the team in the Supersport class at the 2016 Isle of Man TT Races fuelled by Monster Energy as well as the North West 200 and Ulster Grand Prix. The 11-time TT race winner celebrated success with the team this year when he completed a dominant double in the Monster Energy Supersport TT races. The Bingley bullet dominated the Supersport class at the 2015 TT Races, winning the first race by over seven seconds from Bruce Anstey and the second by almost fifteen seconds from the Kiwi, the first time that he had stood on the top step of the podium at the Isle of Man since his record-breaking year in 2010. Hutchinson enjoyed his return to fitness at TT 2015, winning the overall TT championship with 111 points, 31 ahead of his nearest rival Bruce Anstey with wins in the RL360 and podiums in the RST Superbike and PokerStars Senior TT alongside his Supersport double. Hutchinson has already confirmed a move to Tyco BMW where he will campaign the BMW S 1000 RR for the Moneymore based outfit in the Superbike and Superstock class at the 2016 TT.